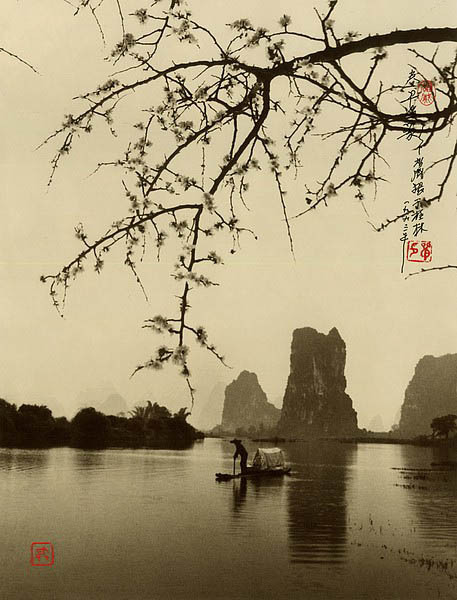 Born in Canton in 1929, Chinese artist Dong Hong-Oai passed away in 2004 at the age of 75. 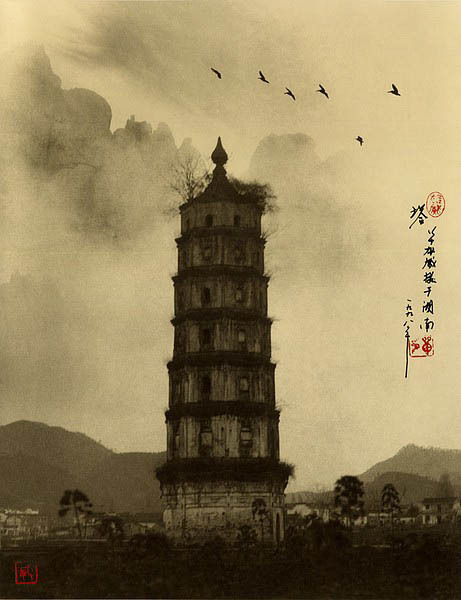 He left behind an incredible volume of work, using a style known as pictorialism to create incredible photographs that look like traditional Chinese paintings. 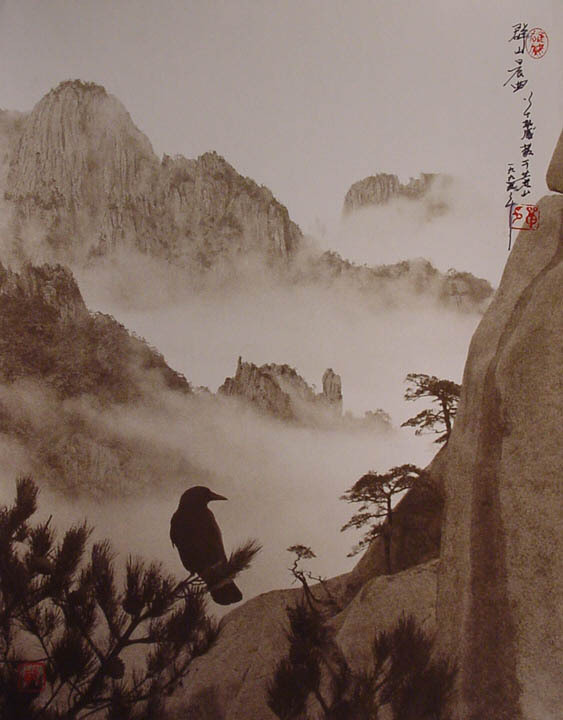 Below you will find a small collection of his stunning artwork along with a brief biography on Dong Hong-Oai and additional information on the photographic style known as pictorialism. 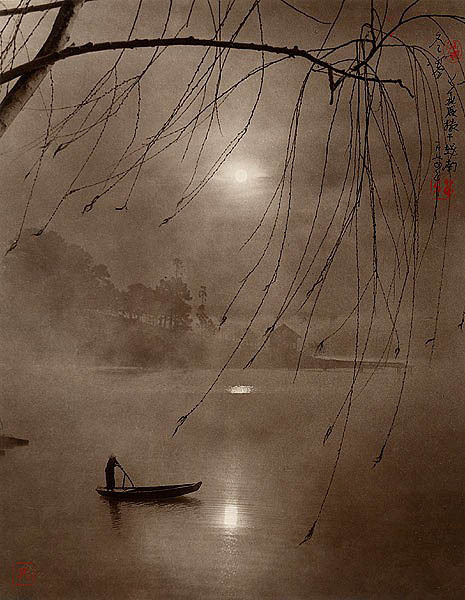 Don Hong-Oai was born in 1929 in the city of Guangzhou in the Guangdong Province of China. He left China at the age of seven, after the sudden death of his parents. As the youngest of 24 siblings and half-siblings, Don was sent off to live in a Chinese community in Saigon, Vietnam. Later in his life he would occasionally return to visit China, but he never lived there again. On his arrival in Saigon, Don was apprenticed to a photography studio run by ethnically Chinese immigrants. There he learned the fundamentals of photography. 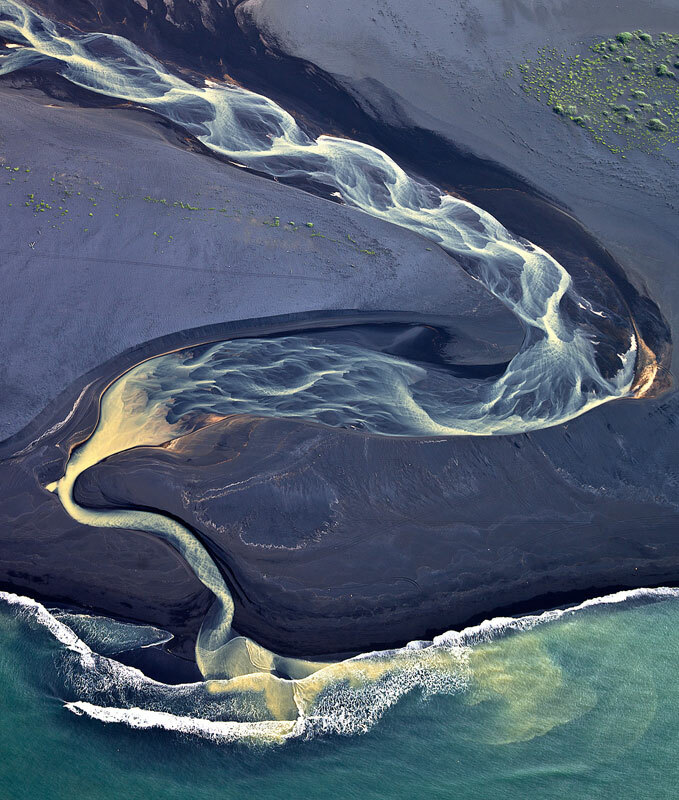 He also developed an affection for landscape photography, which he practiced on his time off using one of the studio’s cameras. Don remained an apprentice for a decade, after which he worked a series of odd jobs. In 1950, at the age of 21, he began studying at the Vietnam National Art University. In 1979 a bloody border war broke out between the Socialist Republic of Vietnam and the People’s Republic of China. The Vietnamese government instituted a series of repressive policies that targeted ethnic Chinese living in the country. As a result of those policies, Don became one of the millions of “boat people” who fled Vietnam in the late 1970s and early 80s. At the age of 50, speaking no English and not knowing anybody living in the U.S., Don arrived in San Francisco. He was even able to set up a small darkroom. 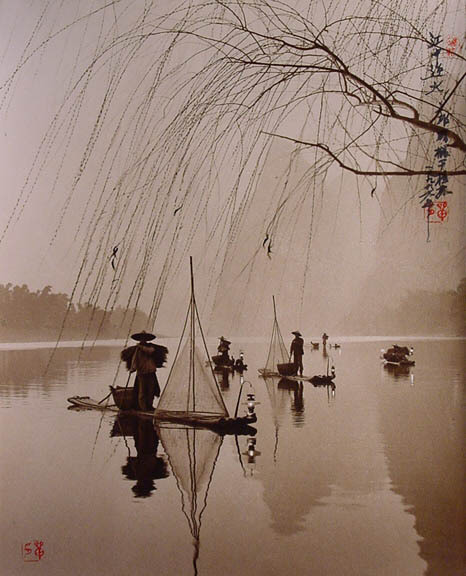 By selling prints of his photographs at local street fairs, Don was able to make enough money to return to China periodically to shoot photographs. Most importantly, he was given the opportunity to study for a period of time under the tutelage of Long Chin-San in Taiwan. 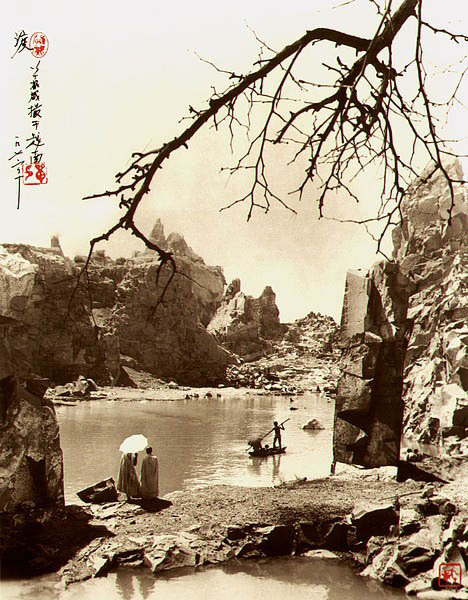 Long Chin-San, who died in 1995 at the age of 104, had developed a style of photography based on the long tradition of landscape imagery in Chinese art. 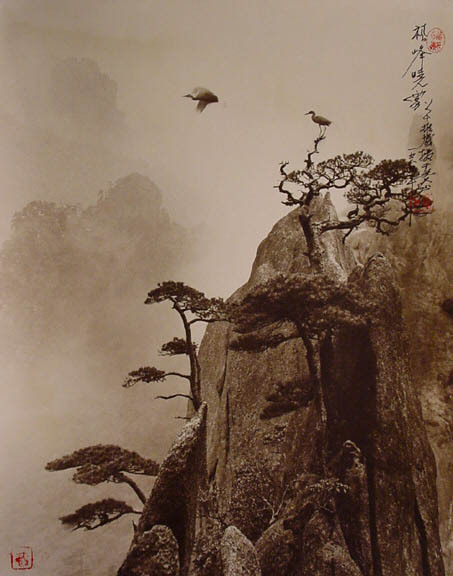 For centuries Chinese artists had been creating dramatic monochromatic landscapes using simple brushes and ink. These paintings weren’t intended to accurately depict nature, but to interpret nature’s emotional impact. During the later years of the Song Dynasty (960-1279 C.E.) and the beginning of the Yuan Dynasty (1279-1368 C.E.) artists began to combine three different art forms…poetry, calligraphy and painting…on the same canvas. It was thought that this synthesis of forms allowed the artist to more fully express himself. Long Chin-San, who was born in 1891, had been trained in this classical tradition of painting. At some point in his long career, Long began to experiment in ways to translate that impressionistic style of art into photography. In keeping with the layered approach to scale, he developed a method of layering negatives to correspond with the three tiers of distance. Long taught his method to Don. Don, seeking to more closely emulate the traditional Chinese style, added calligraphy and his seal to the image. Don’s new work modeled on the ancient style began to draw critical attention in the 1990s. He no longer had to sell his photography from small stalls in street fairs; he was now represented by an agent and his work was being sold in galleries throughout the U.S., in Europe and in Asia. He no longer had to rely on individual customers to buy his photographs; his work was not only being sought after by private art collectors but also by corporate buyers and museums. He was in his 60s and for the first time in his life he was achieving some level of financial success. Pictorialism is the name given to a photographic movement in vogue from around 1885 following the widespread introduction of the dry-plate process. It reached its height in the early years of the 20th century, and declined rapidly after 1914 after the widespread emergence of Modernism. The terms “Pictorialism” and “Pictorialist” entered common use only after 1900. Pictorialism largely subscribed to the idea that art photography needed to emulate the painting and etching of the time. Most of these pictures were black & white or sepia-toned. Among the methods used were soft focus, special filters and lens coatings, heavy manipulation in the darkroom, and exotic printing processes. From 1898 rough-surface printing papers were added to the repertoire, to further break up a picture’s sharpness. Some artists “etched” the surface of their prints using fine needles. 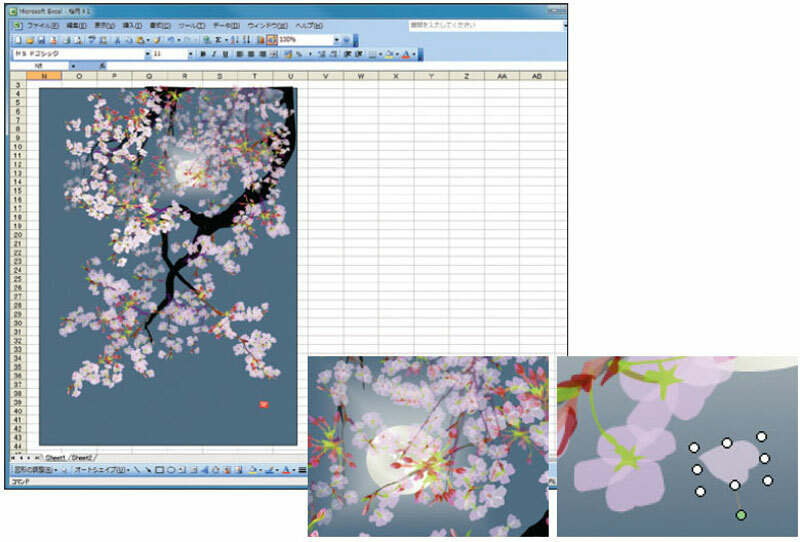 The aim of such techniques was to achieve what the 1911 Encyclopædia Britannica termed, in discussing pictorial photography, “personal artistic expression”.